Pendant Size 2.75 inches. See picture with penny for size comparison. Additional information: These are made by Afghani refugees living in Pakistan, who fled to avoid the Taliban. 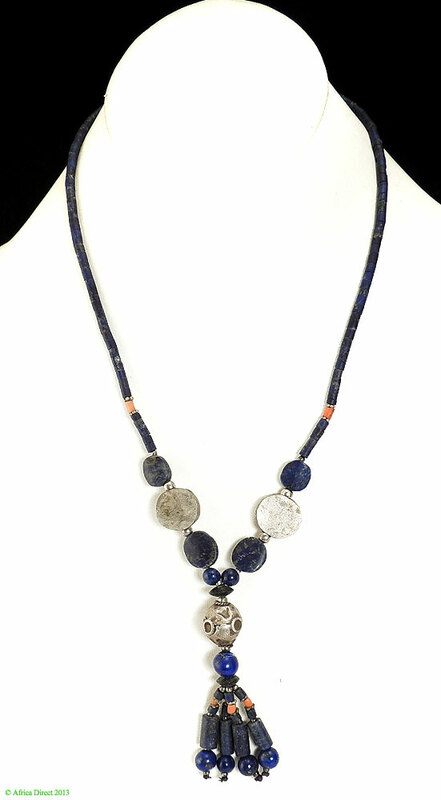 Lapis lazuli, the deep blue stone with golden flecks, has been prized since Neolithic times. 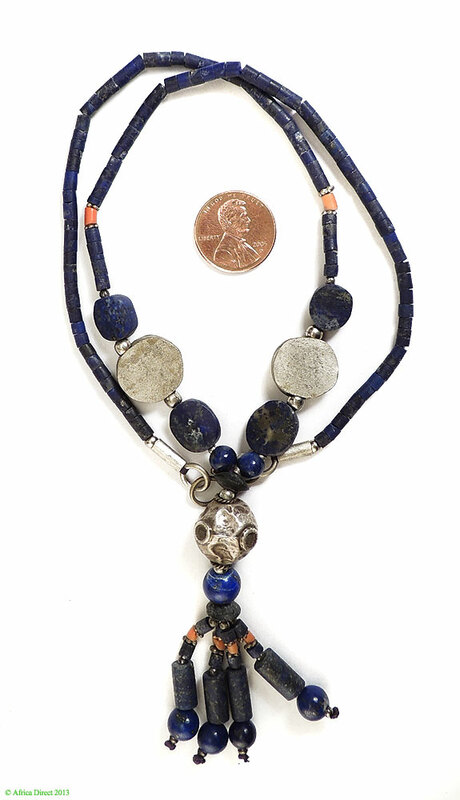 It is mined in the Badakshan district of Afghanistan, where the finest lapis is found. All of the lapis comes from one mine, which is estimated to run out in about 25 years. To learn more, see BEADS by Coles and Budwig.